If you feel that you have a service or product that can add value to my readers or have a blog or website that you would like me to contribute to, I’d love to hear from you. I already accept guest posts on the Money for Monday, so if you would like to contribute take a look at my guest post guidelines and send me 3 ideas for posts that might want to write about. 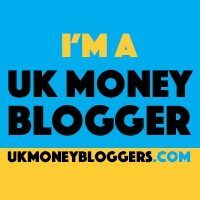 If you have a blog that falls into any of the categories featured on Money for Monday and you would like me to guest post for your blog, I’d be more than happy to contribute a post. I will only feature sponsored posts from brands that I believe will add value to my readers. If you’re a company that believes you can add value to my readers and are interested in working with me, please contact me with your pitch and budget and I’ll get back to you as soon as possible. If you would like me to give an honest review of your product or service, I’d be happy to discuss this with you, so please feel free to contact me. If you would like to work with me on something a little different to that listed above, I’d be more than happy to discuss possible collaborations and ideas with you.